UPSC Topper Strategy for Geography Optional by Mangesh Kumar (Rank-4) | IAS EXAM PORTAL - India's Largest Community for UPSC Exam Aspirants. Geography is a good subject with the civil services point of view. 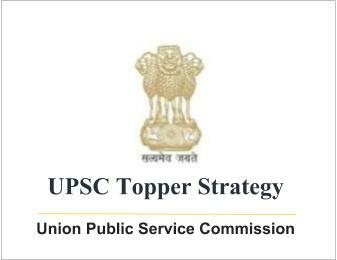 During last few years it comes out to be one of the most favourite choices of Civil Services Aspirants. The basic strategy for geography starts with study of NCERT books. Start preparation before one year of the prelims. Make a strategy to complete the syllabus topic wise. The basic concepts of each topic should be clear so that one can write in his language in examination. Try to incorporate maximum figures in your answers. Geography is the subject where one can make answers crisp and attractive by figures. Wherever map is required draw it. Between two questions of choice in exam attempt the question in which chances of drawing figure are more. The most important fact which one should keep in mind in geography is time management. Each aspirant feels difficulty in attempting all questions in geography. What I suggest is continuous writing practice. We have to solve the question paper of 300 marks in 3 hours i.e. 180 minutes. Thus we get 0.6 minutes for one mark. It can easily be calculated that ideally for 15 marks question we gat 9 minutes and almost 150-200 words and for 30 mark question we get 18 minutes and almost 300-350 words. So what one can do, pick a question randomly from last year question papers start stop watch and try to complete the answer in above time limit and word limit. After time limit stop writing and then check the answer yourself as well as show it to your friends or guide. Make sure that answer should be legible as well as of good quality. Practice 3-4 questions daily. You will be amazed to see that there is a drastic improvement in your writing skill and time management skill. This type of writing practice will help you not only in geography but in other optional and G.S. also. Mapping has come out to be a real challenge in recent years. The strategy to handle India map question is again practice. What one should do is to practice map everyday for one hour. Start from mountains first day, then rivers, then waterfalls and then important cities and so on. Also mark important places which are in news from news paper. Regular practice of mapping will make you more confidant. In recent past it is also being seen that second paper is evolving as a challenge for aspirants. Its applied nature is responsible for making it uncertain. So one should be careful in preparation of second paper. For effective preparation one should be able to incorporate current topics in geography. Thus while reading newspaper mark the topics which may be important for geography and try to search material for those topics from internet. Start writing on those topics. Read each and every issue of ‘ magazine Geography and you’.